Charleston Forge furniture is handmade in Boone, North Carolina from beautiful American hardwoods and other materials by local craftsmen. Spare, elegant interesting lines, the Taylor round drink table will fit in with any décor, modern or traditional. 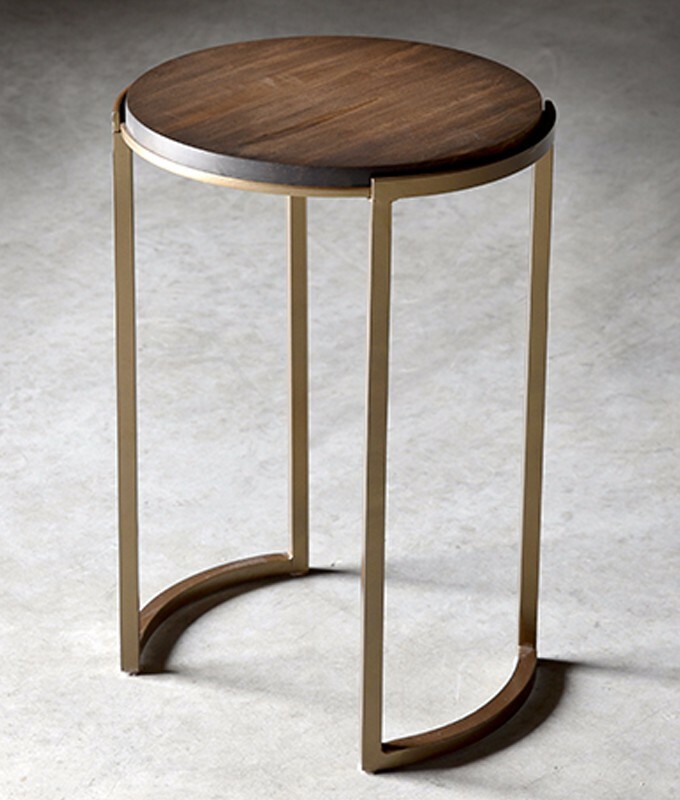 Several coordinating pieces are available in the Taylor collection including a console, drink table, round + rectangular cocktail tables, and round + square end tables. Top choices include maple, oak or glass and there are numerous metal finishes available.